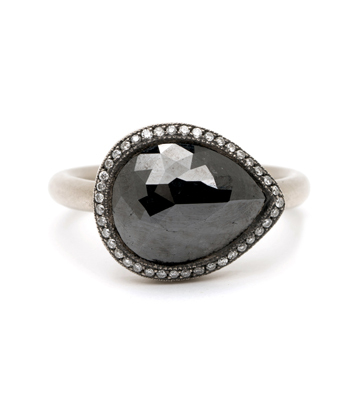 This black diamond engagement ring is equal parts bohemian goddess and vintage rock star. Black diamond is said to enhance relationships and provide abundance- a beautiful sentiment for an unique engagement ring if there ever was one. 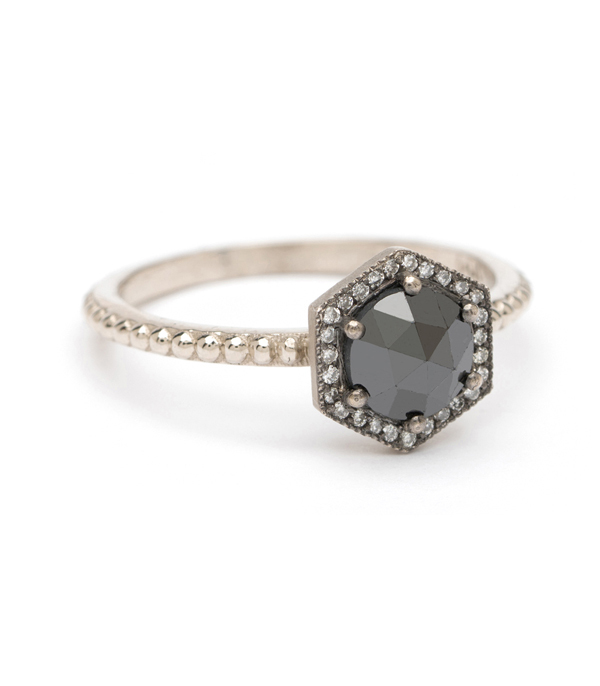 This Rose cut black diamond stacking ring is an excellent choice for the bride seeking a diamond ring as unique as it is daring. 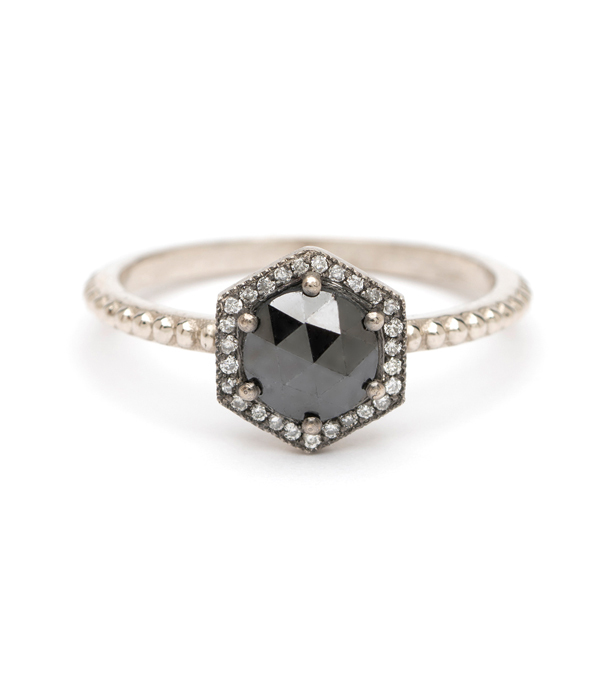 The hexagon shape is commonly associated with a bee’s honeycomb- a symbol of delicate strength. 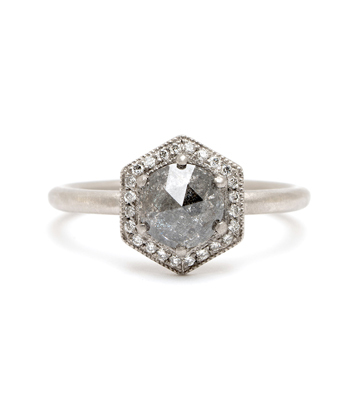 Brilliant cut white diamonds frame the center stone, and the raised North to South hexagon top rests on a shiny nailhead band. 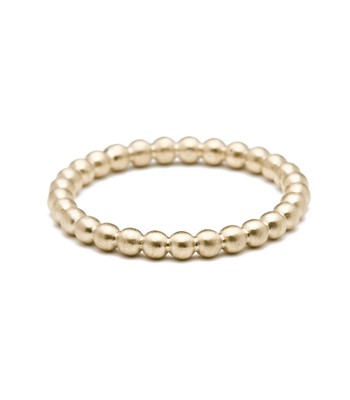 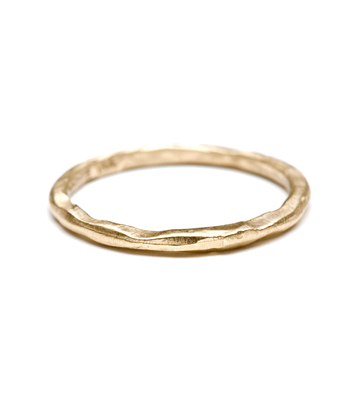 Wear this edgy centerpiece as part of a stacking ring bridal set or add a little magic to your favorite outfit. 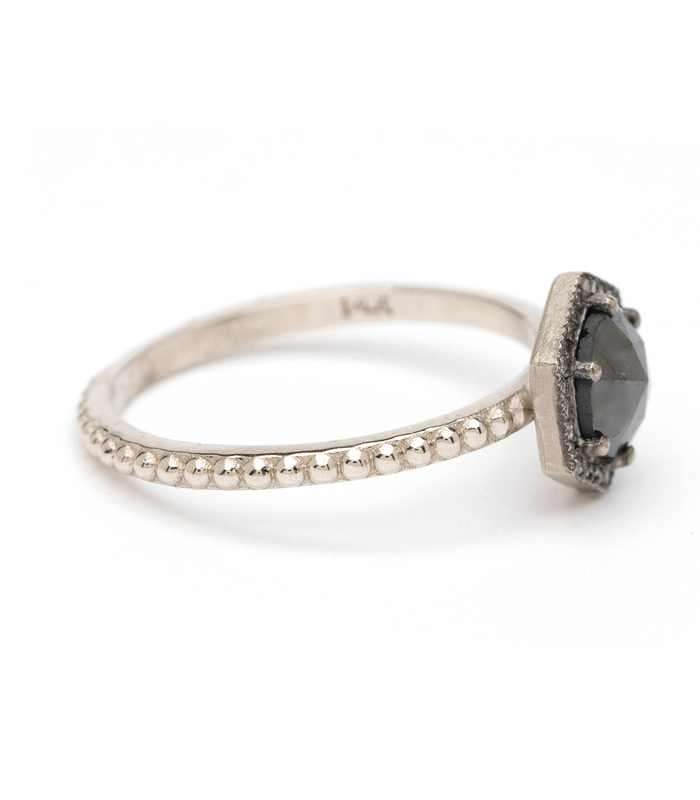 Set with a black diamond rose cut, approximately 0.54 ct, this piece is hand crafted by our artisan jewelers in Los Angeles. 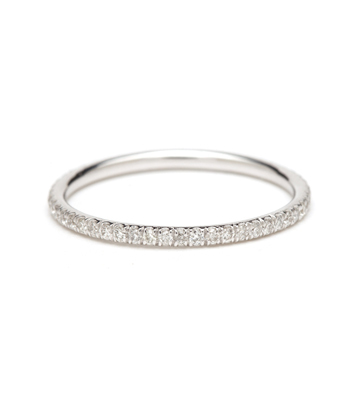 Categories: All Engagement Rings, Aria, Rings, Rocking Tradition, Rose Cut Diamond Rings, Tinelli's Favorites.